Hawker Hurricanes of No. 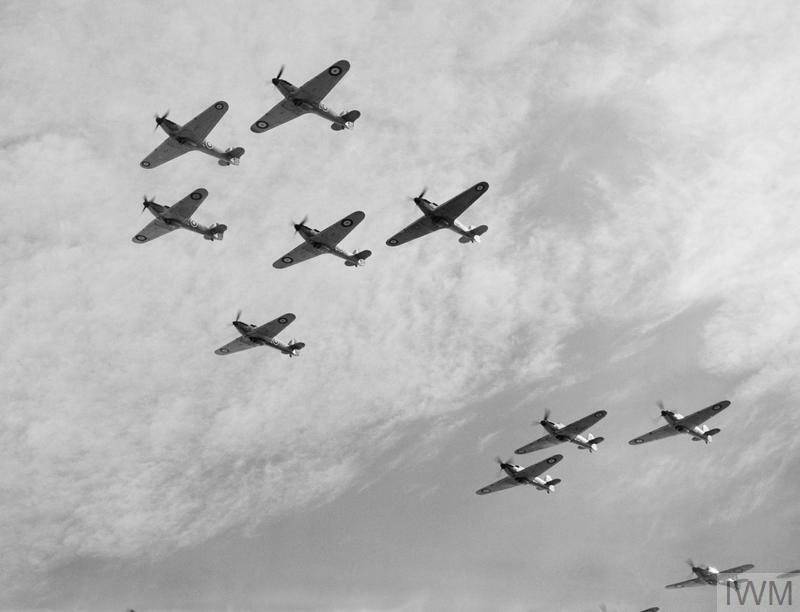 85 Squadron, Royal Air Force (RAF) seen from below, October 1940. 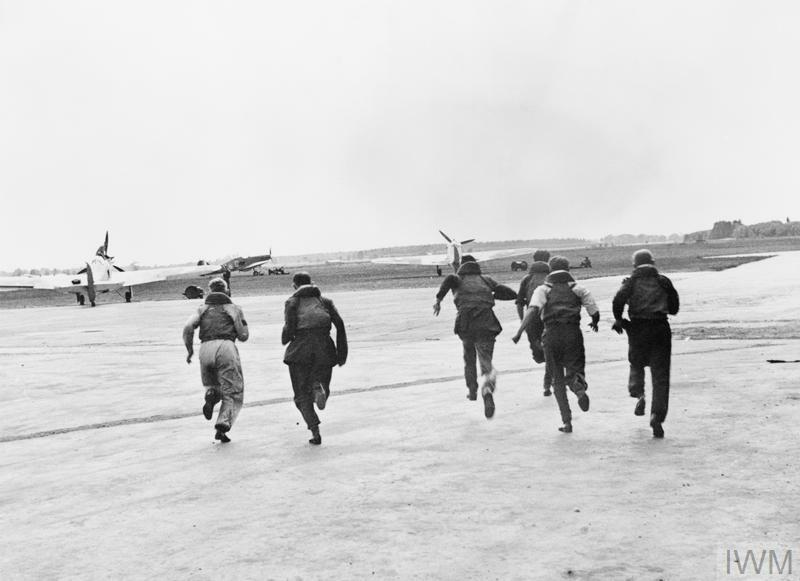 Operations: Pilots seen running to their aircraft. Audio: Harold Bird-Wilson interview © IWM (IWM SR 10093). 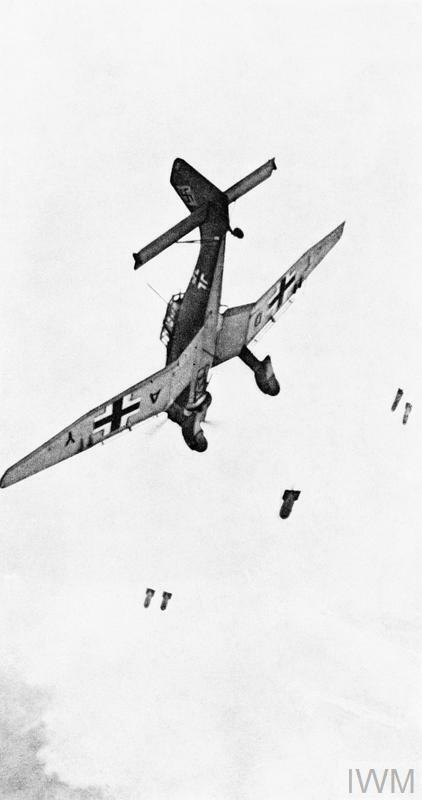 Bombs fall away from a German Junkers Ju-87 Stuka dive-bomber. Audio: William David interview © IWM (IWM SR 10092). 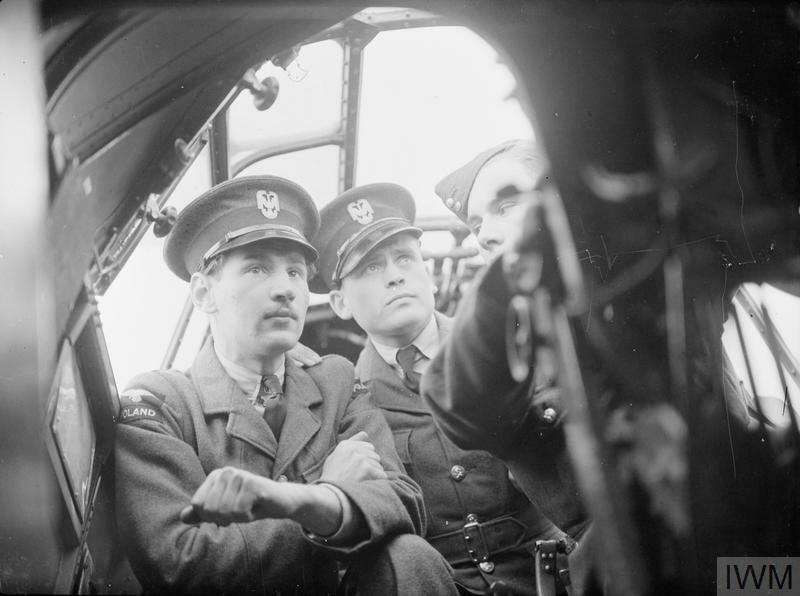 Two airmen of the Polish Air Force Depot at RAF Blackpool receive instruction on the controls of an aircraft during ground training at Squires Gate aerodrome, 27 August 1940. Spitfire pilots of No. 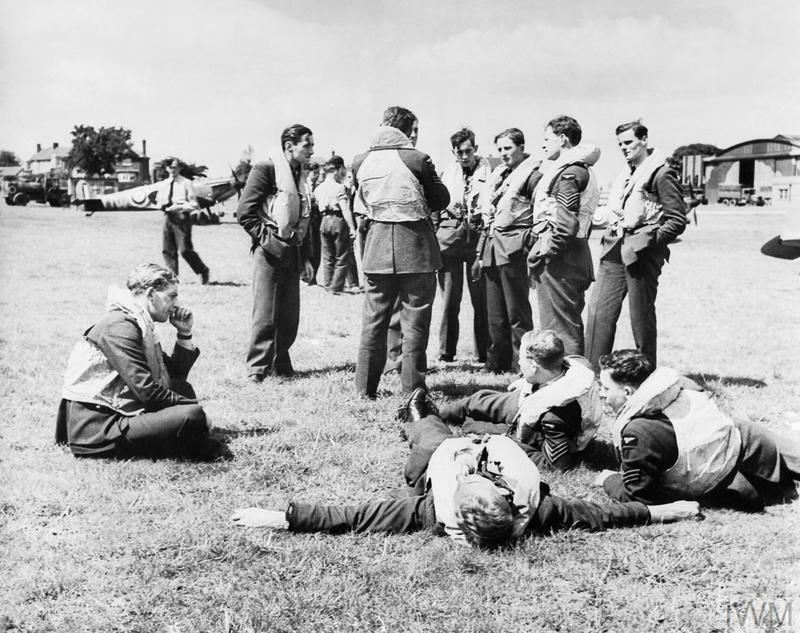 610 Squadron RAF relax between missions at RAF Hawkinge in Kent, 29 July 1940. Audio: Denys Gillam interview © IWM (IWM SR 10049). 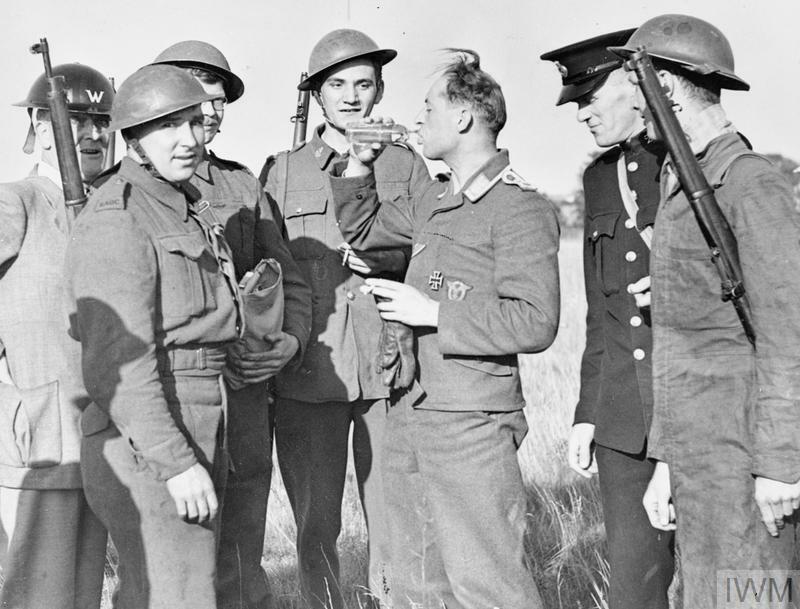 A captured German bomber crewman drinks from a British soldier's water bottle after baling out of his aircraft, 30 August 1940. Audio: Ronald ‘Ras’ Berry interview © IWM (IWM SR 11475). Supermarine Spitfire Mark Is of No. 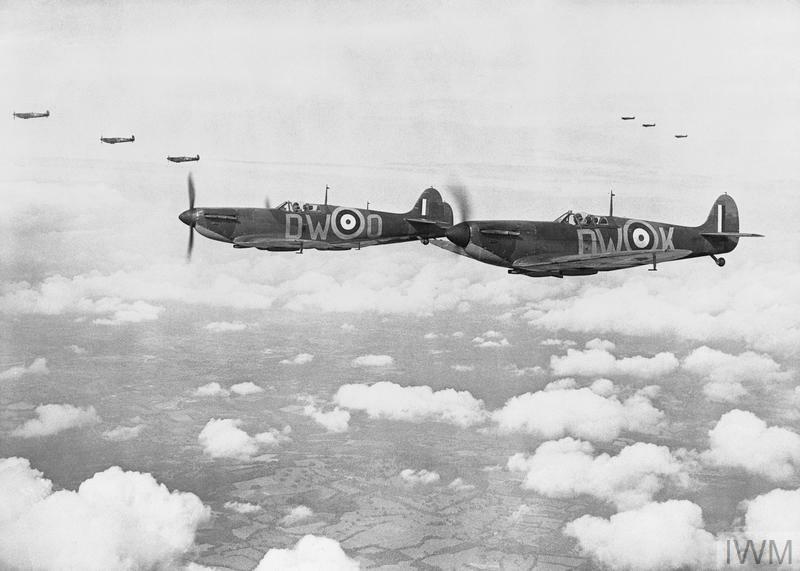 610 Squadron RAF fly in formation, 24 July 1940. 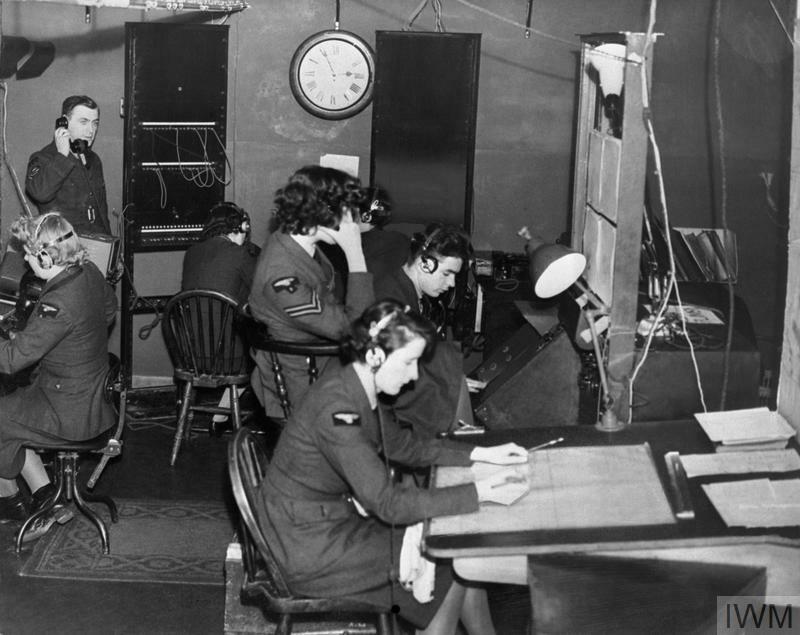 Airmen and Women's Auxiliary Air Force (WAAF) operators at work in the receiver hut of the radar station at Ventnor, on the Isle of Wight, during the Battle of Britain. 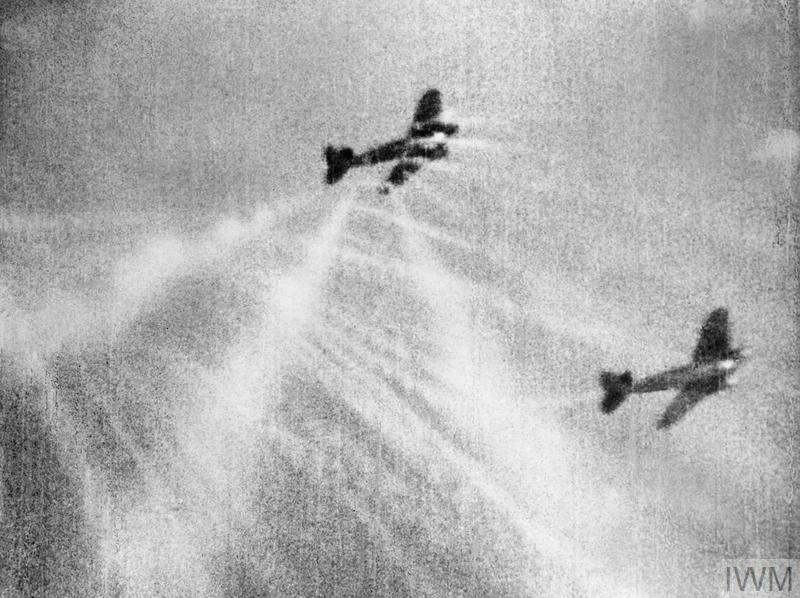 This camera gun film still shows tracer ammunition from an RAF Supermarine Spitfire Mark I, flown by Flight Lieutenant J H G McArthur, hitting a German Heinkel He 111. These aircraft were part of a large formation which attacked the Bristol Aeroplane Company's works at Filton, Bristol, just before noon on 25 September 1940. Sergeant Bohumil Furst of No. 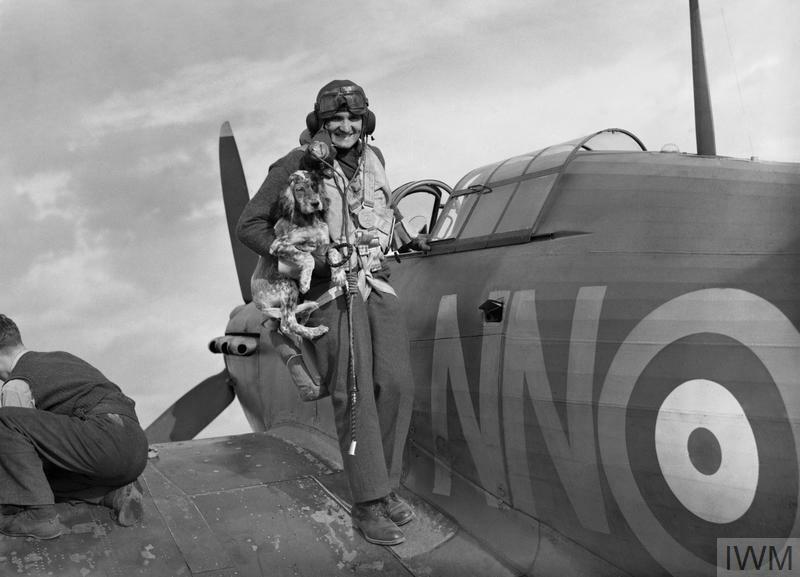 310 (Czechoslovak) Squadron is greeted by the Squadron mascot on returning to RAF Duxford after a mission, 7 September 1940. 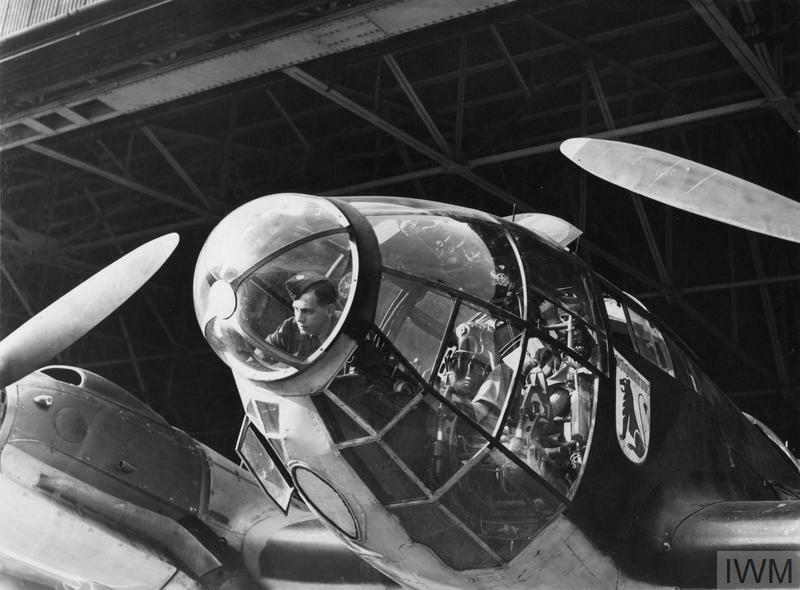 An RAF airman examines the cockpit of a captured German Heinkel He 111, 2 October 1940. 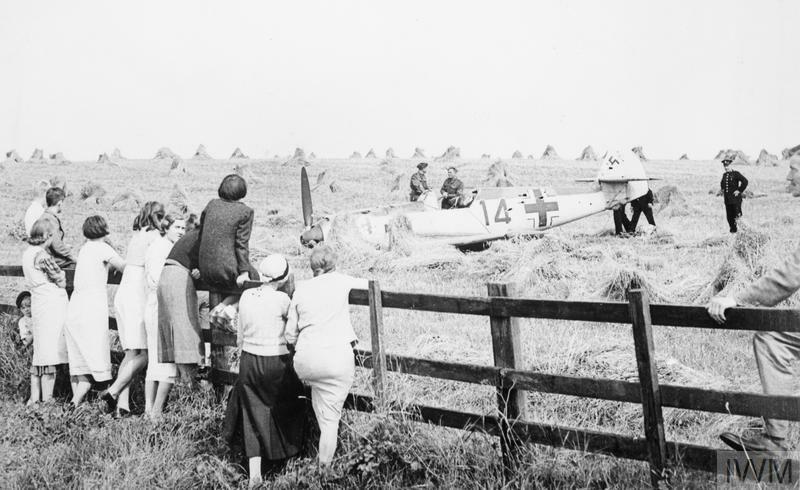 Locals watch as troops and police inspect a German Messerschmitt Bf 109 which crash-landed in a field near Lewes, Sussex. 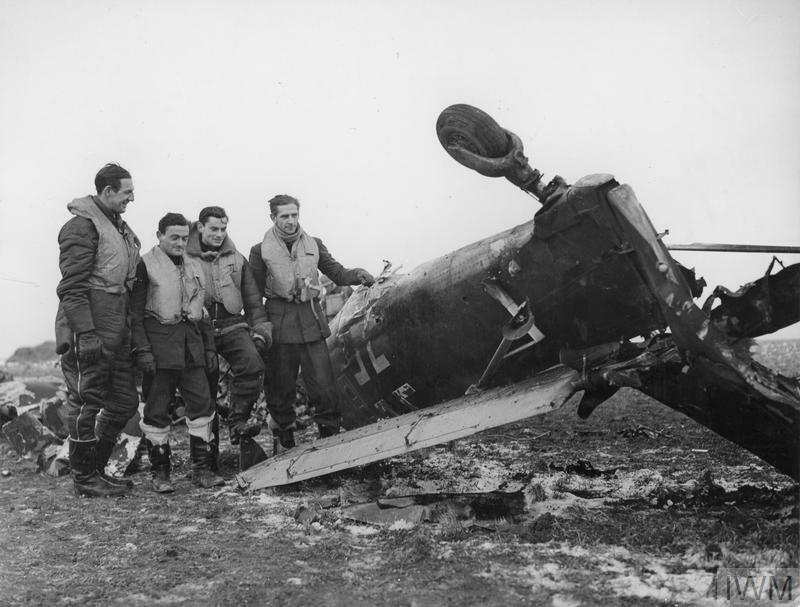 The pilot, Unteroffizier Leo Zaunbrecher, was captured. 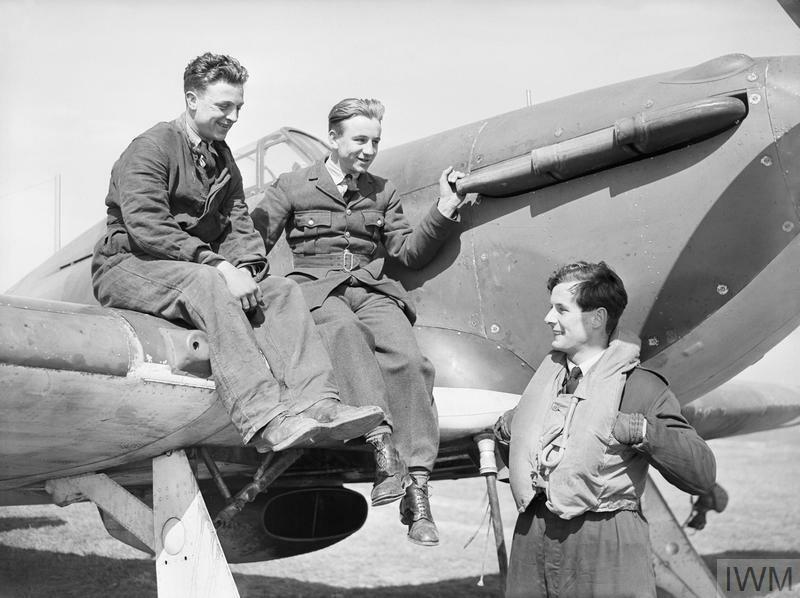 Squadron Leader Peter Townsend chats with groundcrew sitting on his Hawker Hurricane at Wick, Scotland. 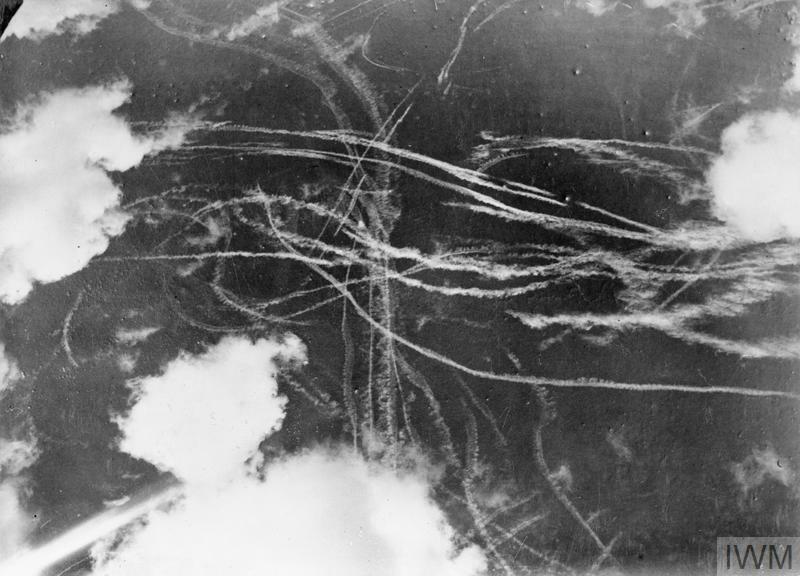 Patterns of condensation trails left by British and German aircraft after a dogfight, 18 September 1940. 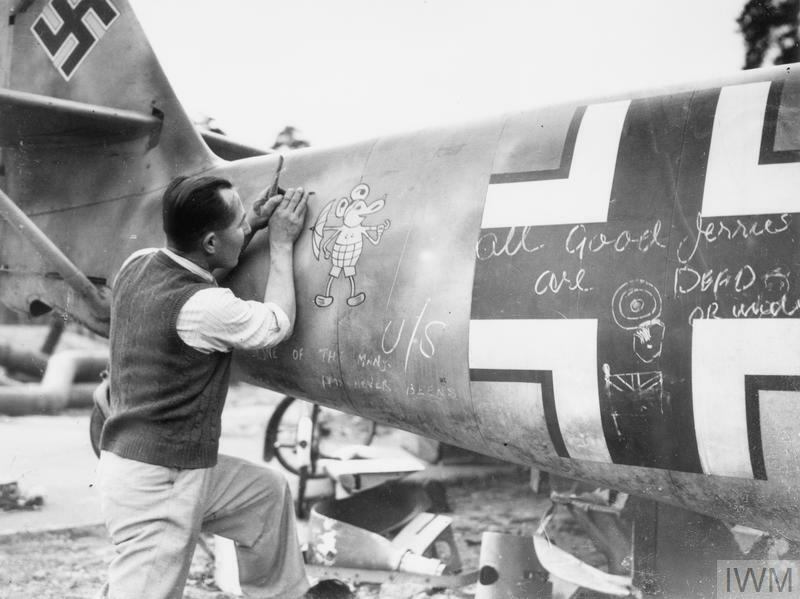 A member of staff at a technical college prepares to remove the 'Mickey Mouse' emblem from the rear fuselage of a shot-down German Messerschmitt Bf 109, 2 October 1940. 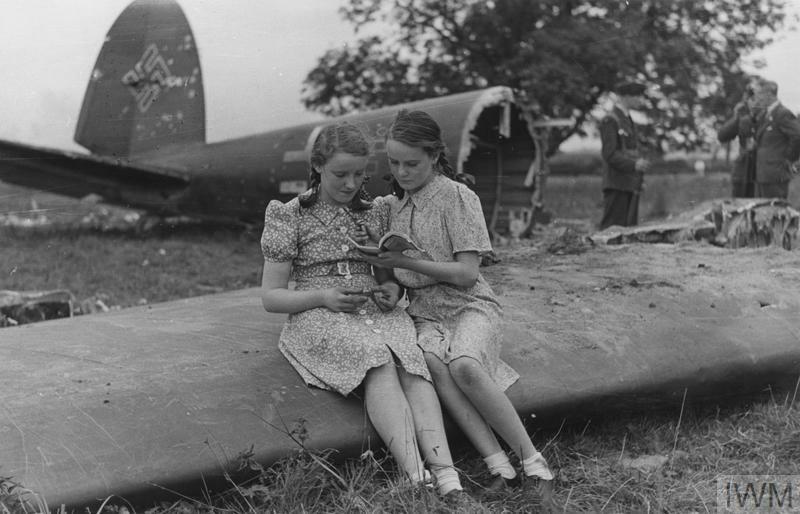 Schoolgirls sit on part of a Nazi bomber which crashed near their farmhouse, 16 August 1940. 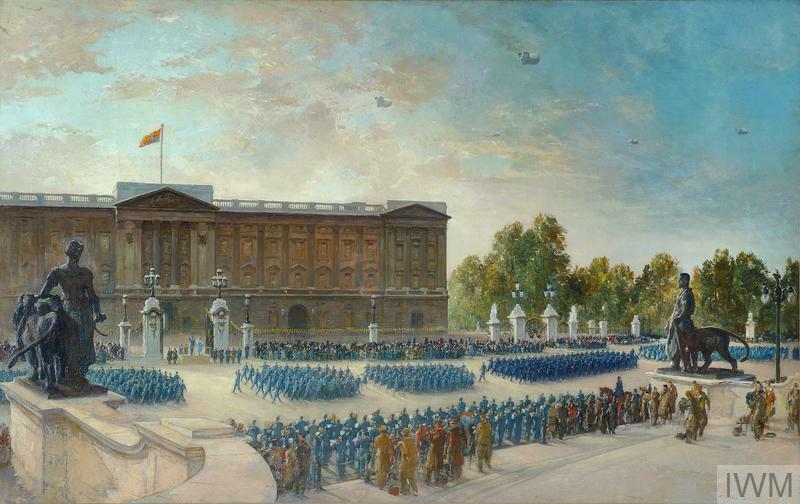 Battle of Britain Anniversary, 1943: RAF Parade at Buckingham Palace, 1943, by Charles Cundall. As the Battle of Britain raged in the skies over Britain in the summer of 1940, a range of British artists were quick to record and interpret this vital event. 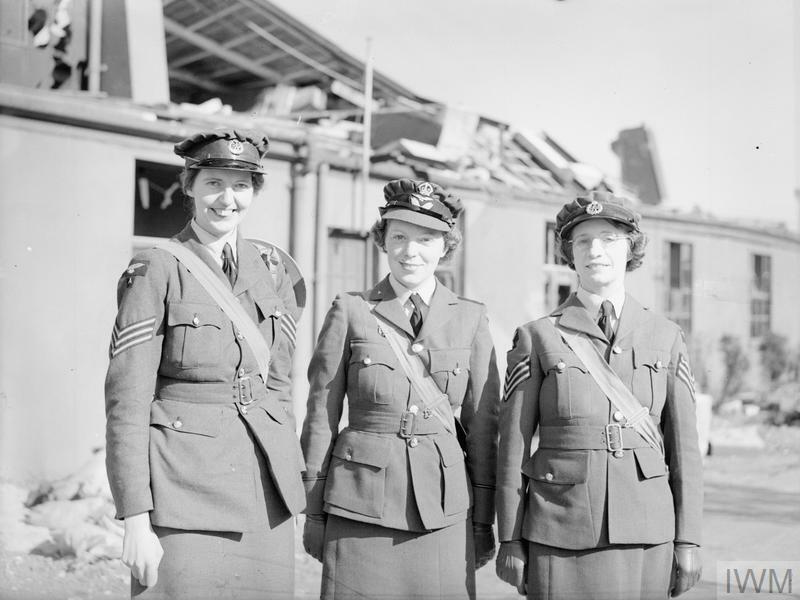 Their work was commissioned or purchased by the War Artists Advisory Committee (WAAC), the body that oversaw the British official war art scheme of the Second World War.